Daniel Rollins is a registered Osteopath and graduate of the London School of Osteopathy. 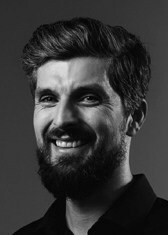 His career in the manual therapy and fitness arena began over 10 years ago, initially qualifying as a gym instructor/personal trainer and then as a Sports Massage Therapist and Pilates Instructor. Daniel then found Osteopathy and, inspired by its principles and practice, further developed his skills, encompassing a holistic approach to the treatment and management of musculoskeletal disorders. His patient care philosophy integrates both manual and movement therapeutics, and aspires to enhance function and health. Daniel is especially interested in posture, biomechanics and ergonomics. Daniel Rollins is registered with the General Osteopathic Council and a member of the British Osteopathic Association.